One of the most important aspects of trading Contracts for Difference (CFDs) is the platform itself. Without a thorough understanding of how the market works, no matter the asset, investors will inevitably lose their way and money as a consequence. At SimpleFX we are doing our best to provide you with the best trading app available. Plus500 is a well-established trading platform. It’s a good benchmark for other CFD trading solutions. That’s why made this SimpleFX vs. Plus500 comparison, where we touch upon important features that the platform has to offer. Apart from the mere definition, we also propose SimpleFX as an alternative to Plus500, as both offer similar services. The comparison analysis serves to help traders understand how web trading works, as well as how to properly investigate functions available. While Plus500 is well established, SimpleFX WebTrader is the most advanced the fastest growing CFD tool available. Publicly listed in Cyprus, Plus500 is a CFD platform where traders can capitalize on price fluctuations of various assets. These include indices, cryptocurrencies, Forex, commodities, stocks, options, and ETFs. It is quite a famous platform, operating since 2008 with much success. Interestingly enough, the IPO for the company was started by six university graduates and grew to be one of the leading CFDs in the world. The company’s main office is located in London, UK. 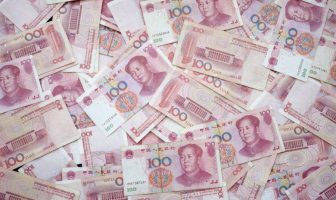 Now, the company offers a large selection of trading pairs and shares as well, though its regional coverage is quite limited. Investors from EU and some parts of Asia are supported, accounting for around 50 countries in total. As with any other CFD, traders put instructions for the platform to take within its WebTrader. The company then would use the order to execute it in the real market, whether it is a stock or cryptocurrency exchanges. By using functions, such as stop-loss and take-profit, investors can put exact values and time they want their trades to commence an end. This is the point where SimpleFX and Plus500 divert from each other. SimpleFX is a newer application. The company’s mission is to make CFD trading easier than anywhere else. That is why the registration process in SimpleFX is much easier. You can set up a demo account with just an e-mail. 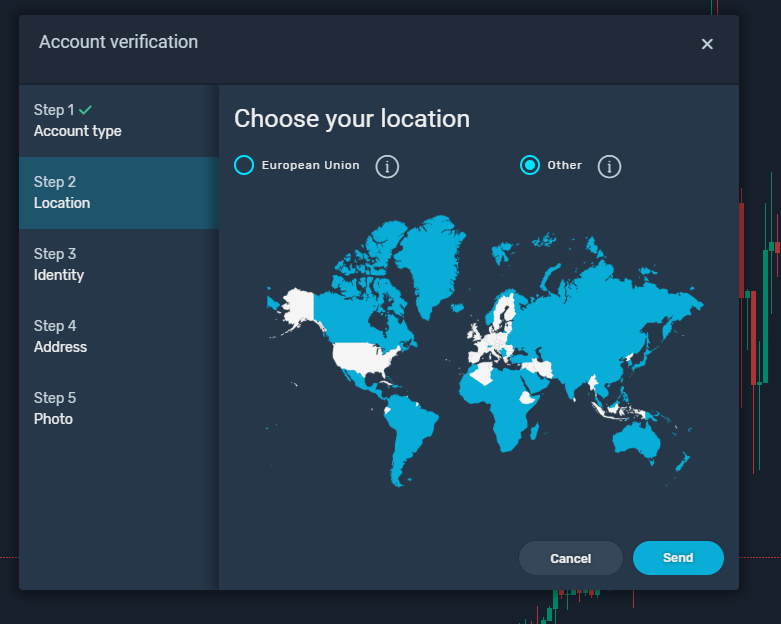 When you want to deposit funds, you’ll need to go through a smooth SimpleFX Know Your Customer (KYC) process to verify your identity and address. It’s very simple and straightforward. On the other hand, the verification process at Plus500 is more difficult. 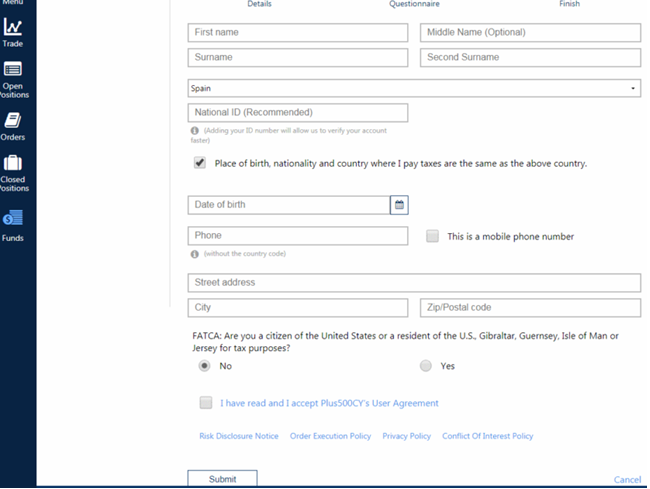 The form, as seen below, is quite an extensive one. One big advantage of SimpleFX as a Plus500 alternative is the availability outside the EU. As you can see on the map below, we cover most of the globe with our services. In this aspect, Plus500 and SimpleFX are quite similar. 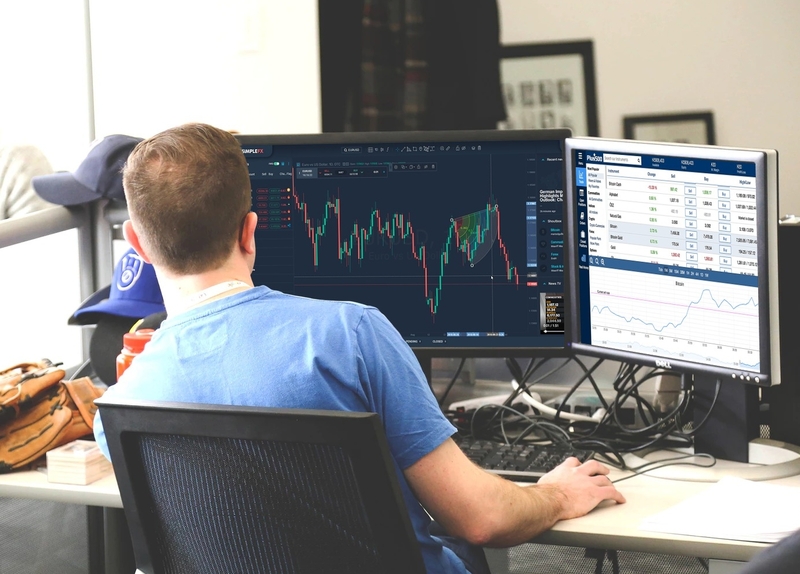 Both offer a WebTrader and desktop version as well, while SimpleFX has MetaTrader (MT4) downloadable program for clients to use while trading assets. All functions and analysis tools are available there, even more so than when trading using the browser version. However, the Plus500 WebTrader orients toward experts, with beginners left to figure out how the market works through demos. SimpleFX offers a much more convenient interface, providing all necessary analysis tools, easily spotted and used. Plus500 offers few deposit and withdrawal methods, focusing itself on bank transfers, credit cards, PayPal and Skrill. Much like other CFD platforms, SimpleFX included, there are no fees regarding the funding of traders’ balances. SimpleFX offers a bit different program by offering Skrill, Neteller and, most importantly, Fasapay. The Fasapay method carries almost no costs compared to credit cards and yet it is as fast as they are. Additionally, cryptocurrency deposits/withdrawals are not possible in Plus500, while SimpleFX offers several coins, as seen below. The minimum deposit at Plus500 stands at $100 at this point, while SimpleFX does not have any sort of funding limitations. In the case of trading functions, both offer limit and leverage tools for their clients. However, SimpleFX wins at the margin trading rates, as it offers 500x leverage for any type of asset. Plus500 has up to 300x, which is still higher than most platforms out there. Plus500 has a guaranteed stop loss feature that would prevent traders from ever incurring a negative balance. Plus500 has an upper hand over SimpleFX in terms of an overall number of an asset for trade, over 2.000. However, SimpleFX keeps up with exotic markets, including Brazilian and Turkish exchanges for stock investments. You can also do crypto-to-crypto trading while pairing up digital coins with gold as well, a benefit not available at Plus500. Plus500 is a registered business and holds offices in several countries around the globe. All assets are insured and kept under tight software protection system to keep hackers away. The security system at OPklus500 is probably one of the best in the world, with SimpleFX trailing close behind. You have two-factor authentication, as well as notification systems in both platforms. Both platforms offer 24/7 support for their clients, including email contact, ticket system, live chat, and extensive FAQ pages. However, what differentiates these platforms is the fact that SimpleFX also has a “Shoutbox” where traders can communicate with each other. In this way, the community at SimpleFX is much stronger as Plus500 does not offer anything similar. 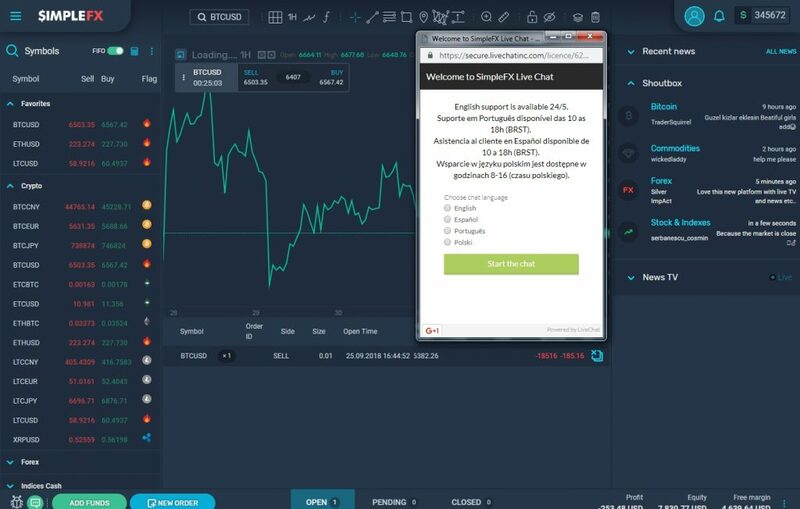 SimpleFX provides some social trading features that position the platform in the same range as eToro WebTrader. Plus500 does have a powerful affiliate program in terms of awards. However, it does not provide support in terms of banners, landing pages and links as SimpleFX does. Additionally, you can only get paid in the same deposit/withdrawal channel you used while funding your balance. 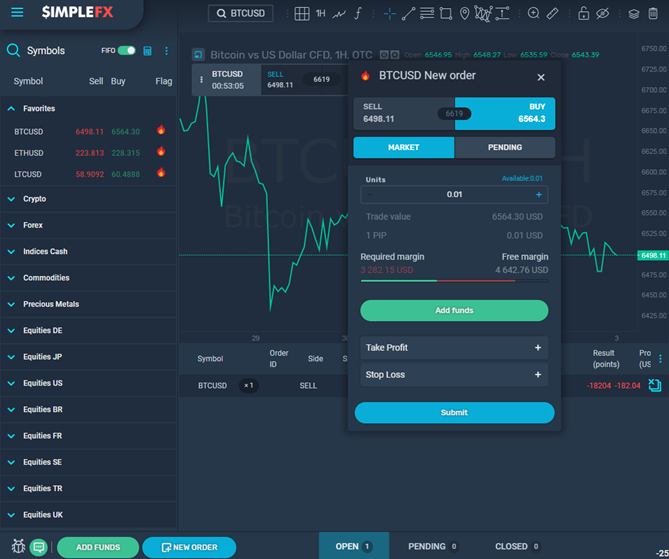 SimpleFX offers a crypto payment channel as well, which is a huge advantage for those that actively trade in digital currencies. Naturally, you need a verified account at Plus500 to become an affiliate awhile SimpleFX requires only an email for you start. Overall, both platforms offer something for their clients, though we can say that SimpleFX wins by a small margin. Leverage is larger, MT4 is available, and exotic pairings with cryptos is possible. 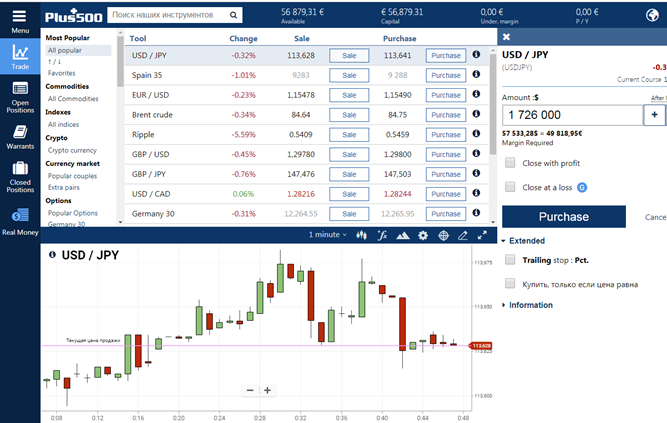 Plus500 and SimpleFX WebTrader operate in the same category. 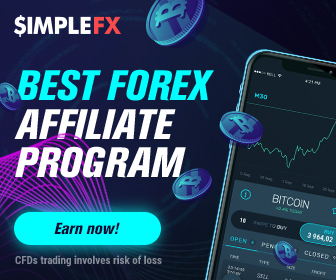 As a newer product SimpleFX WebTrader works faster, offers a better UX (with a fantastic quick trading feature), and a powerful Unilink.io affiliate program, that allows you to earn up to 40 percent of your referral spreads. 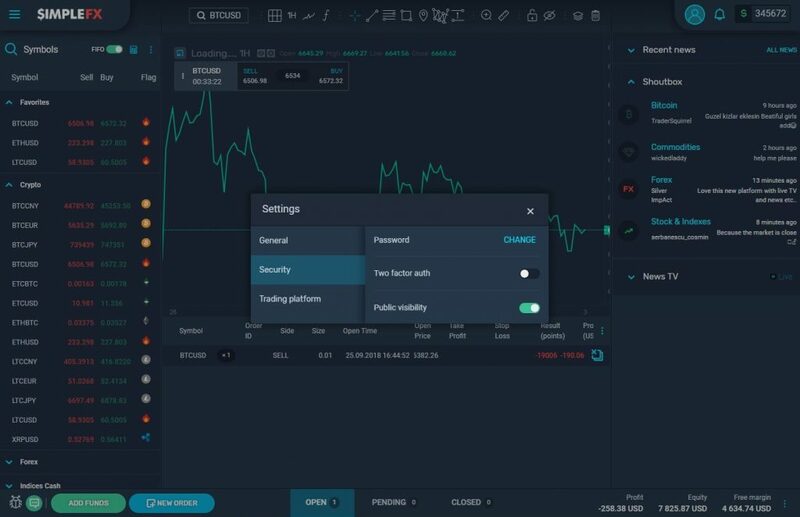 If you are looking for a simple trading app check out SimpleFX WebTrader, with a fully functional demo account and no minimum deposits.